Kansas City, Kan. tops the chart for the first time ever as the safest driving city in America, according to the 11th annual “Allstate America’s Best Drivers Report.” The report, based on Allstate Insurance Co. claims data, ranks America’s 200 largest cities in terms of car collision frequency to identify which cities have the safest drivers. The report underscores Allstate’s commitment to keeping roadways safer. 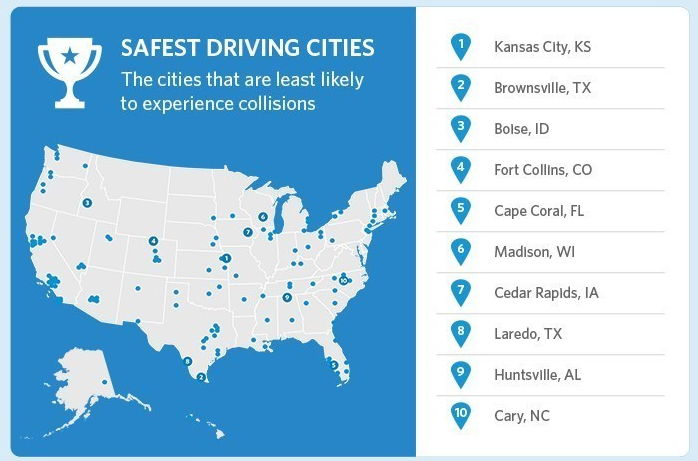 Kansas City is recognized as the safest driving city in America with the average driver experiencing an auto collision every 13.3 years, which is 24.8% less likely than the national average of every 10 years. See the full release to discover the other safe-driving cities in the U.S. Interested in receiving more press releases like this? Sign up for PR Newswire for Journalists and create a free profile to have news emailed to you about cars and safe driving. Get started now. “Recent media reports predicting the imminent demise of Ashley Madison are greatly exaggerated,” said Avid Life Media Inc., the company behind the Ashley Madison website. The company said that it continues its day-to-day operations even as it deals with the theft of its private data by criminal hackers. “Despite having our business and customers attacked, we are growing. This past week alone, hundreds of thousands of new users signed up for the Ashley Madison platform – including 87,596 women. Some journalists have turned the focus of the criminal act against Ashley Madison inside out, attacking us instead of the hackers. Last week, a reporter who claimed to analyze the stolen data made incorrect assumptions about the meaning of fields contained in the leaked data. This reporter concluded that the number of active female members on Ashley Madison could be calculated based on those assumptions. That conclusion was wrong.” See the release for the full statement and to learn more about Ashley Madison’s plans. Want to make sure you don’t miss news like this? Sign up for PR Newswire for Journalists and create a free profile to get press releases sent to you on the topics you cover. Get started now. 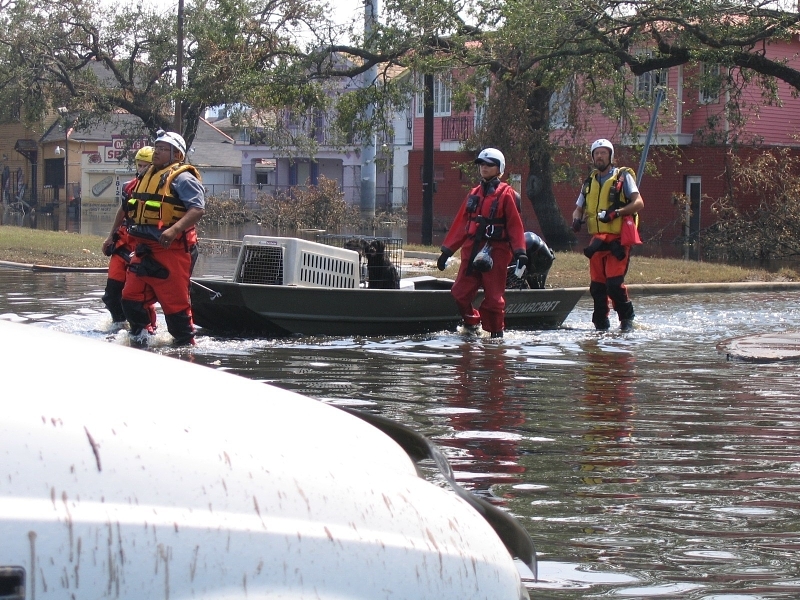 On August 29, 2005 Hurricane Katrina, one of the deadliest weather-related disasters in American history made landfall in Louisiana, wreaking havoc, taking more than 1,800 lives, and stranding more than 250,000 pets. American Humane Association’s Red Star Rescue team was there on the ground in the days after the storm, rescuing pets and reuniting them with their owners — making families whole again. Now, just in time for the tenth anniversary of that historic disaster, American Humane Association, which has saved and sheltered millions of animals over the past 100 years, is teaming up with The Weather Channel and mobiPET™ to unveil a new, high-tech, visual “AMBER Alert” for missing pets that not only will help reunite lost pets with their owners, but will help raise funds to help animals in need all across the country. See the release for more details. The National Insurance Crime Bureau (NICB) on Aug. 31 released its annual Hot Wheels report which identifies the 10 most stolen vehicles in the U.S. The report examines vehicle theft data submitted by law enforcement to the National Crime Information Center (NCIC) and determines the vehicle make, model and model year most reported stolen in 2014. Included with the release is a list of the top 25 2014 vehicle makes and models that were reported stolen in calendar year 2014. See the full release to see the list. On Aug. 27, Celine Dion brought “The Power of Love” to The Colosseum at Caesars Palace to resume her critically-acclaimed Las Vegas residency show, Celine. After a year hiatus, the stage came to life as Celine made her momentous return to a sold-out house and multiple standing ovations from thousands of fans. Celine at The Colosseum at Caesars Palace is a glamorous show directed by legendary Grammy Awards producer Ken Ehrlich and presented jointly by AEG Live and Caesars Entertainment. Celine’s updated Las Vegas show includes her biggest hits mixed with timeless hits by iconic artists that celebrate all generations and genres of music ranging from Frank Sinatra and Elvis Presley to the Bee Gees, Queen and Prince. See the full release to learn more about the production.